Researchers need to think outside the forest and take on a landscape view of forest management. HYDERABAD, India (16 October, 2012)_ As forests worldwide become hemmed in by communities and development, management of these unique and disappearing ecosystems needs to be holistic, incorporating the needs of those who depend on them for food, energy and livelihoods, a scientist with the Center for International Forestry Research says. While the concept of multiple-forest use in a landscape context has been mentioned in the goals of the U.N. Convention on Biological Diversity (CBD) for more than 15 years, it has yet to move beyond the rhetoric by being incorporated firmly into national and international legislation and promoted in practical terms. It’s time for that to change, said Manuel Guariguata at Tree Diversity Day held alongside the CBD’s 11th Conference of the Parties in Hyderabad, India last week. “An extensive national park where all we have is forest is becoming more the exception rather than the rule,” said Guariguata who leads CIFOR’s research on tropical production forests. Two decades ago, policymakers from across the globe gathered in Rio de Janeiro to hammer out the U.N. Convention on Biological Diversity, the first international treaty aimed at trying to sustain the rich diversity of life on this planet. It has since been ratified by 193 countries and today includes a list of ambitious, concrete goals, known as the Aichi Biodiversity Targets, to be met by the rapidly approaching year of 2020. Inserting forests as part of a landscape management strategy and not seeing them in isolation is now the new challenge. Guariguata said holistic management approaches are essential for achieving at least two of these targets: The commitment to halve the rate of forest loss (No. 5), and to conserve 17 percent of terrestrial and inland water, and 10 percent of coastal and marine areas that are important for biodiversity and ecosystem services (No. 11). In both cases, a big part of that is managing the products are that are coming from the forests. That includes timber and, more importantly for local communities, commodities ranging from game animals, nuts, mushrooms and berries to fur, fuel wood and medicinal plants. 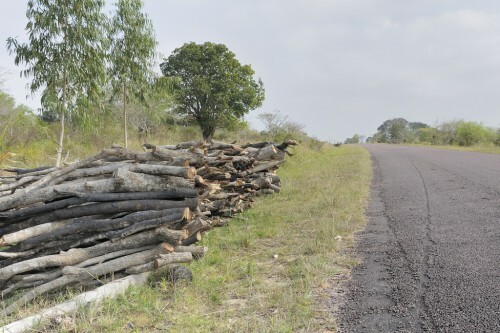 Gurariguata say these non-timber forest products, or NTFPs, cannot be looked at independently. They need to be considered in concert, and with the knowledge and ability to incorporate into national legislation including the opinions of forest communities on how to manage them without excessive regulations. “Government decision-making still tends to be biased towards timber despite the fact that local communities generally depend on many NTFPs for commercial and subsistence purposes,” he said. Recent CIFOR research has shown when these products are more prominent in national statistics, dialogues and forest plans, management tends to move away from a top-down, government controlled paradigm to one where there is more traffic in opinions over policy. And this phenomenon, Guariguata said, contributes to yet another Aichi target, No. 18, calling for traditional people’s advice to be incorporated into national and international legislation. He cautions, however, that there is no single way to go about managing ecosystems, since multi-use landscape management should be determined by the use or product in question. And creating resource-specific yet holistic ecosystem management plans requires more informed forest managers. “In the tropical world, the way foresters are taught to see the forests while at university is still largely focused on timber production,” he said. CIFOR’s research on multiple-use landscapes is part of the CGIAR research program on Forests, Trees and Agroforestry and is supported by USAID. What an utter bunch of crap. 60 million year old naturally evolved forests are part of global ecological sustainability. CIFOR meanwhile is committed to their logging.